With bikini season upon us, many of us are still trying to shed those extra pounds and inches. If you're finding it difficult to achieve your ideal weight, or simply want something to supplement your regular diet and exercise that don't seem to target your problem areas well enough, you can try body treatments that trim your figure safely and effectively. This cosmetic dermatology clinic offers body services that are great for girls who plan on hitting the beach this season and want to lose the extra weight fast. Want a curvier silhouette you can show off on the shore? This painless treatment uses radio frequency to improve body contour, tighten skin, and shrink fat cells. It's done with a machine that uses heat wave therapy to penetrate the deep layers of skin. To get desired results, you may need to do a series of treatments, but you can immediately feel the effects after just one session. Best of all, there's no recovery time needed, so you can have a last-minute treatment done right before your beach trip! If you want to lose weight the easy way, try this non-invasive cavitation treatment that uses sound energy to destroy fat cells for good. 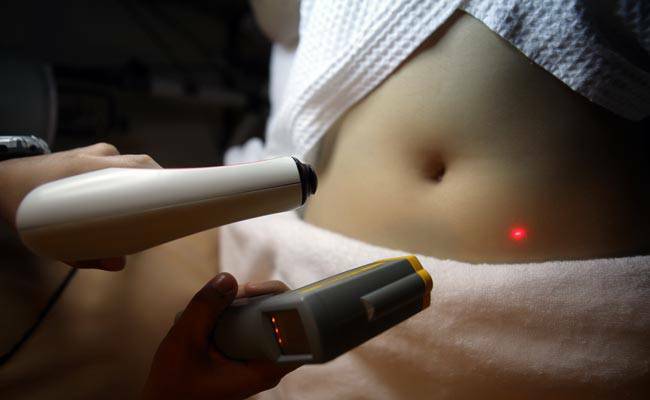 They use a device that sends low frequency ultrasound waves, which burst fat membranes. It's safe and painless, with the only side effect being a slight ringing in your ears during the procedure. This non-surgical alternative to liposuction should ideally be done weekly for a minimum of 10 sessions. After the procedure, you'll receive the E-Detox treatment, which uses weak electronic impulses that work in rhythm to simulate the effects of exercise. This will help eliminate melted fats faster, as well as tone your muscles and increase your metabolism! Consult a doctor to find out which body treatment is right for you, and gain the confidence to flaunt your figure this summer! Aesthetic Science is located at G/F Jupiter Place Bldg., Jupiter St., Bel-Air, Makati. Office hours are 10AM-8PM from Monday to Saturday, and 1PM-7PM on Sunday. Call 899-3643 or (0917)808-2926 to set an appointment. Or you may visit G/F Kennedy Center Building, Prime St. cor. Venture St., Madrigal Business Park, Ayala Alabang, Muntinlupa City. Office hours are 10AM-7PM from Monday to Saturday, and 12PM-6PM on Sunday. Call 809-8021 or (0917)808-2921 to set an appointment.